The existence of malware is hardly a new thing. In the last few years, however, the more malicious trend of ransomware has become more and more common. PewDiePie, the famous Swedish Youtuber, is no stranger to controversy. This time he is in the news again for the wrong reason after a user, who claims to be his fan, released ransomware with a note that reads ‘Subscribe to PewDiePie’. 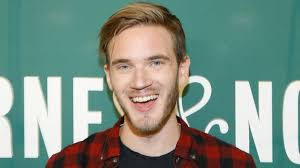 This is not the first time PewDiePie's fans have pulled an extreme stunt to keep the Swedish vlogger as the most popular YouTuber. According to The Independent, the ransomware PewCrypt is designed in such a way that it locks people from accessing their data. The ransomware claims that users will not get back their data until PewDiePie gets 100 million subscribers on YouTube. Rather than destroying a computer per-say, ransomware generally locks out the user's files via encryption. The only way to get them back is to pay a ‘ranson’ (usually in bitcoin) and even then, it’s hardly a guarantee. In a report via TheStar, it seems that the latest ransomware trending has bizarre links to the current subscriber battle between Pewdiepie and T-Series. It is unclear how the ransomware is distributed or how many victims it has claimed so far. “If T-Series beats PewDiePie the private key will be deleted and your files are gone forever!” the report said quoting the threat that appears on the ransomware. This, in itself, is a questionable target. While the two have been swapping the top spot for about 2 months now, T-Series has taken a pretty strong (but not overwhelming lead). The developer backtracked on their threat and released a decryption tool but not before posting the open-sourced ransomware on Twitter under the username JustMe – the account is disabled at the moment – potentially allowing others to modify and use PewCrypt freely.